I have a bit of a paint color dilemma…and I’d love your feedback to help me make a decision! I really REALLY want to paint our living room. Since we moved into the house, I have had my paint color all picked out. 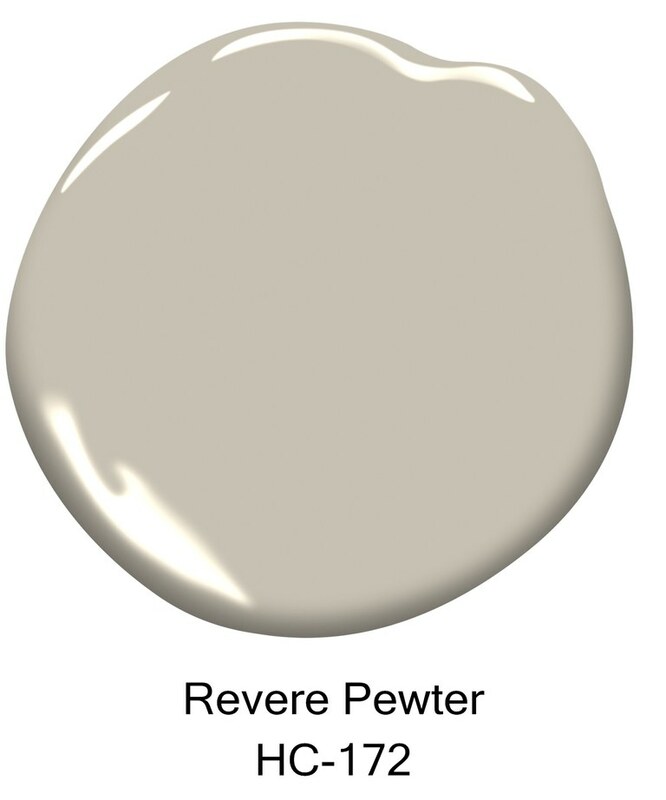 Revere Pewter. Soft. Warm. Modern. Neutral. Safe. But in the last few weeks….maybe because of our extra long winter…or maybe because of the new curtains, I have been rethinking things. 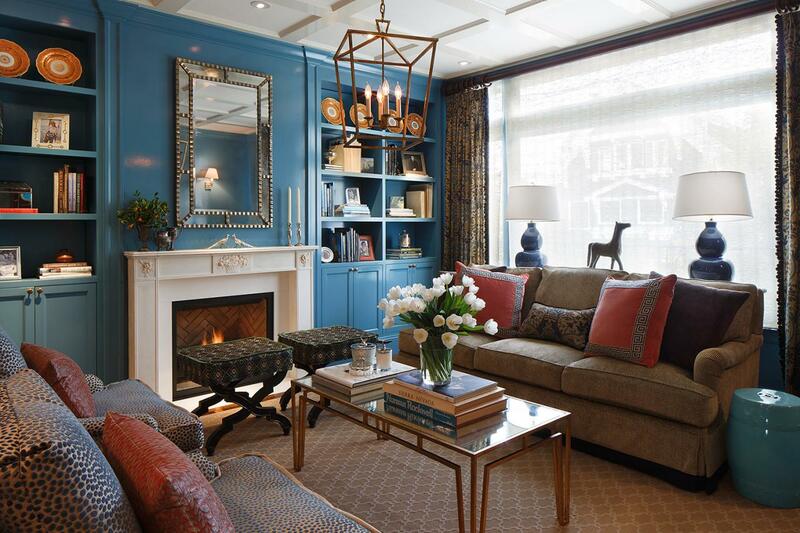 I’m craving color in a big way and I’d always wondered…What if we painted the room a deep blue? Something like Fiji. Bold. Colorful. Vibrant. Daring. Unexpected. 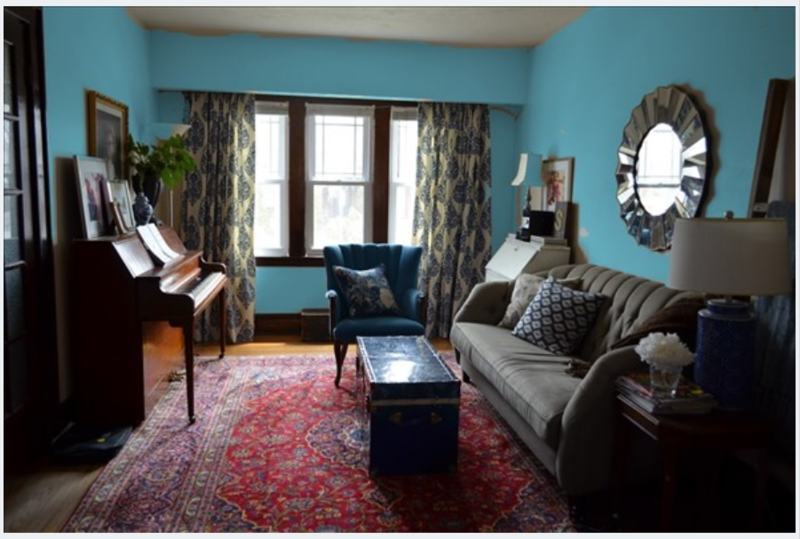 Images courtesy of Benjamin Moore’s Color Viewer. 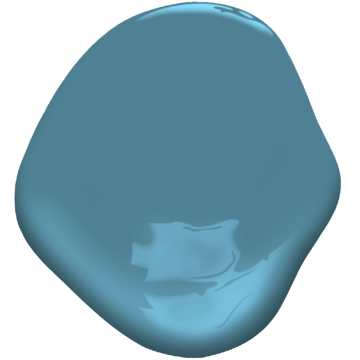 The colors aren’t exact (the blue is much richer and deeper) but it does give you an idea! My husband doesn’t like the idea of more blue, but the more I think about it, the more I *think* I like it. I have always wanted the room to be bright as it is a space I spend a lot of time in. but at the same time, it can handle a darker paint color because there is sunshine streaming in 75% of the time. I checked the other blues in the house…it works. I have had the paint chips up on the wall for almost two weeks…I haven’t changed my mind. It is a very similar color to my velvet chair…that could be a good thing or a bad thing. 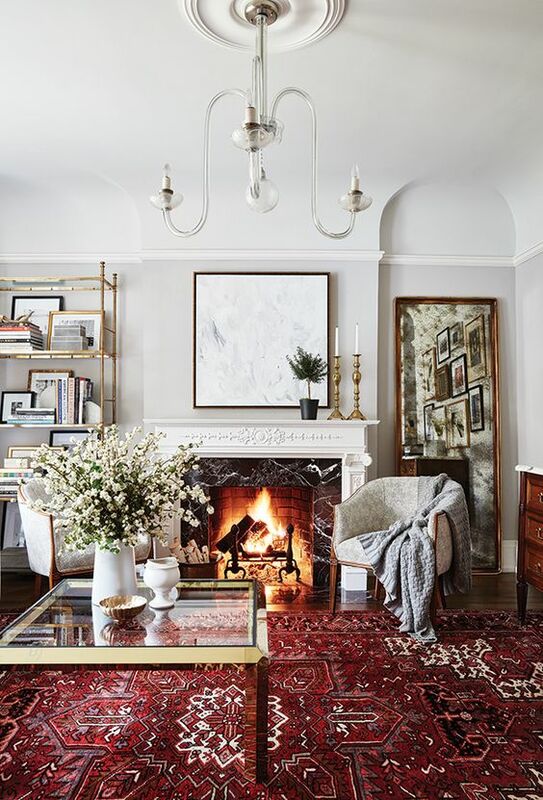 Artwork can be more simple (read less expensive) because the color is what makes the statement. The space could be just too plain dark for everyday living. My husband could hate it. I could tire of it quickly. 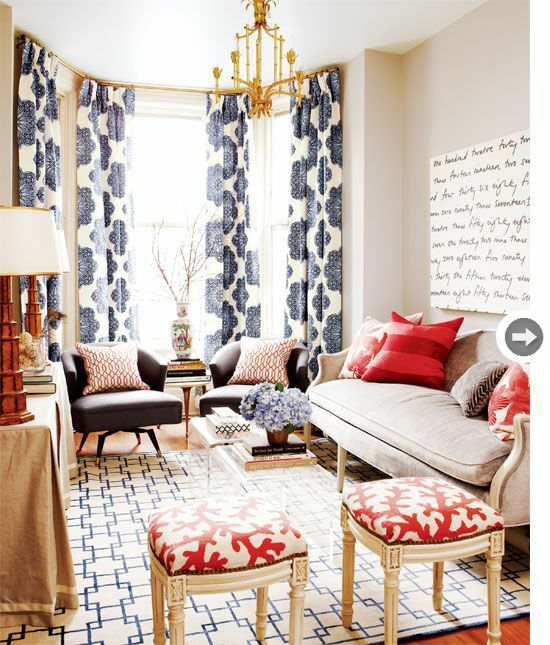 The color would overwhelm the room. I know some of you out there are saying “It’s just a can of paint. If you don’t like it, just repaint it!” Not happening. It would take us a week to do it, we have been here almost five years and I’m still waiting, so doing it twice is not gonna happen! I have to get it right the first time or live with it. So….I’d love to hear your feed back. Am I crazy? Should I go for it? Should I stay with the neutral walls and add color in the artwork? As I mentioned, my hubby needs convincing and so do I, but that doesn’t mean it is off the table…so your opinions will make this all the more fun! 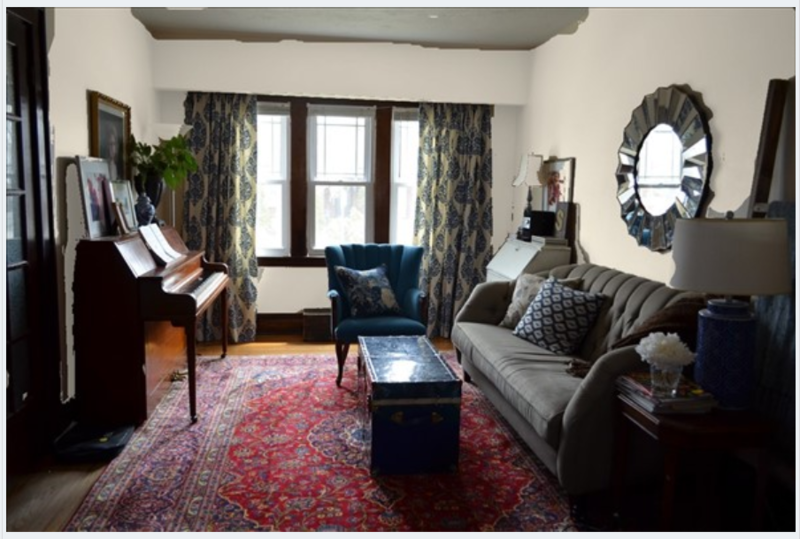 Here are some more pictures of rooms in similar hues to help make “our” decision. 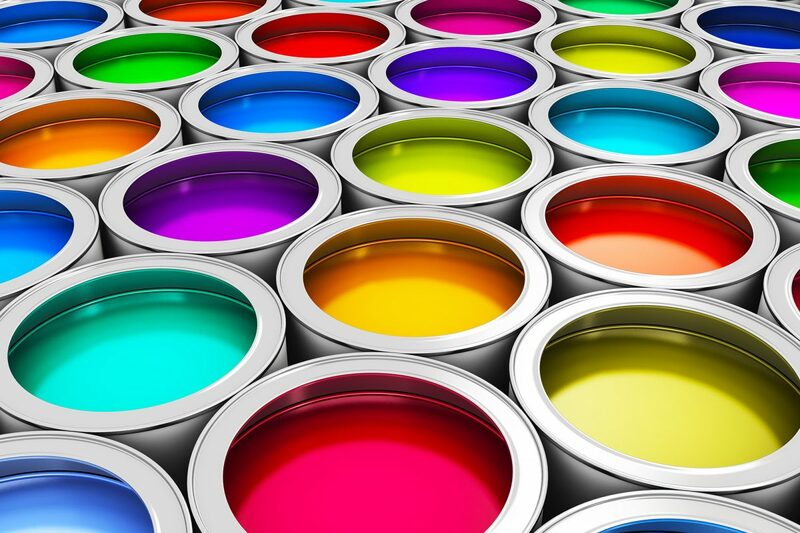 Please let me know which paint color you would choose and why! I look forward to reading your comments! Do you see my dilemma? I like BOTH!